Hello Hawthorne Villagers! We had a very mild winter and new forecast is calling 2016 is set to break global heat records. I have a few friends who is moving to their new Mattamy home at Hawthorne South Village and want me to start an A/C group buy for this summer. The last A/C group buy I held few years back was very successful where more than 50 homes received amazing deal through Craig at Four Season Comfort Heating and Cooling. Below is some pricing for the American Standard/Trane 13 and 14 Seer and 16 Seer ACunits. This pricing includes complete installation with wall mounted brackets and a 15ft copper line set and electrical line. Warranty is 10 years parts and 5 year labour. HST is additional. There are currently some rebates available through the OPA which we are able to process for our clients. Rebates are available on the Silver 14 ($250) and Silver 16 ($400). If you do plan to stay in your home for a long period of the rebates help you decide weather it make sense for the additional investment. Please contact me directly if you need assistance deciding what SEER rating would be best for you. In order to participate in this group buy we require a $250.00 deposit prior to May 20th, 2016. Payments may be made by check or interact email money transfer to fourseasoncomfort@bellnet.ca. Once this deposit is received we will send an invoice showing the deposit has been received and a tentative installation date. The deposit secures your pricing as well as your installation date. On May 21, 2016 we will determine how many participants we have in the group buy and apply the necessary discount to the invoice. If the air conditioner has been installed and paid prior to May 20/16 we will refund the applicable group buy discount to our client via check, Interact or email money transfer. We would recommend the April Air line of humidifiers as well. Group buy pricing as follows. April Air 700m for homes 2000-3100 sq ft for $625 installed plus HST. How to we determine which Air Conditioner size is best? It is very important that your air conditioning unit is sized appropriately prior to installation. If the unit is undersized it will run continuously without reaching set point, particularly during peak hours. If the air conditioning unit is oversized, it will short cycle (turn on and off continuously) resulting in warm pockets of air in the home. Below is a list of additional information we may require when determining how to correctly size the air conditioning unit in your home. What SEER Rating or Efficiency is Best? The SEER (seasonal energy efficiency ratio) rating, determines how efficient you air conditioning unit is or how much electricity it consumes. The higher the SEER numbers the more efficient the AC. Our cooling season in Southwestern Ontario is typically only 3-4 months of the year therefore we would NOT recommend a seer rating above 16 seer as you will not gain a return of the investment of a super efficient AC unit. Unfortunately some HVAC dealers try to push 17-20 seer AC units but would not recommend this. Below is a list of questions we would ask in order to determine what SEER rating is best for you. 1. Do you have an existing inefficient air conditioning unit? (If you answered yes, there are rebates available if we remove an old AC unit and replace it with a 14.5 seer or greater). In a new subdivision this is usually not the case. 2. Are you considered a heavy user? Do you set the air conditioner in May and run it until September without turning it off? Or would you only use the air conditioner on the hot humid days? 3. What temperature do you keep your home during the cooling season? 4. Do you prefer a colder setting or just enough to remove some humidity from the air? 5. Do you plan to stay in your home long term, 7 years plus? If yes we would recommend the 16 Seer. If you plan to stay in your home short term a 13seer would be best suited for your needs. There are many air conditioning manufacturers available in the market today. Premium products – these are sold and installed through a dealer network. Licensed and certified technicians are factory trained on installation and service. Mid- Range products – these are builder quality products sold to any HVAC company. I would be pleased to discuss the differences in product lines. At Four Season Comfort Heating & Cooling we recommend the Premium American Standard/Trane line of products. We have installed hundreds of these cooling systems within the GTA. Both we and our clients have been very satisfied with the quality and reliability of this product line. 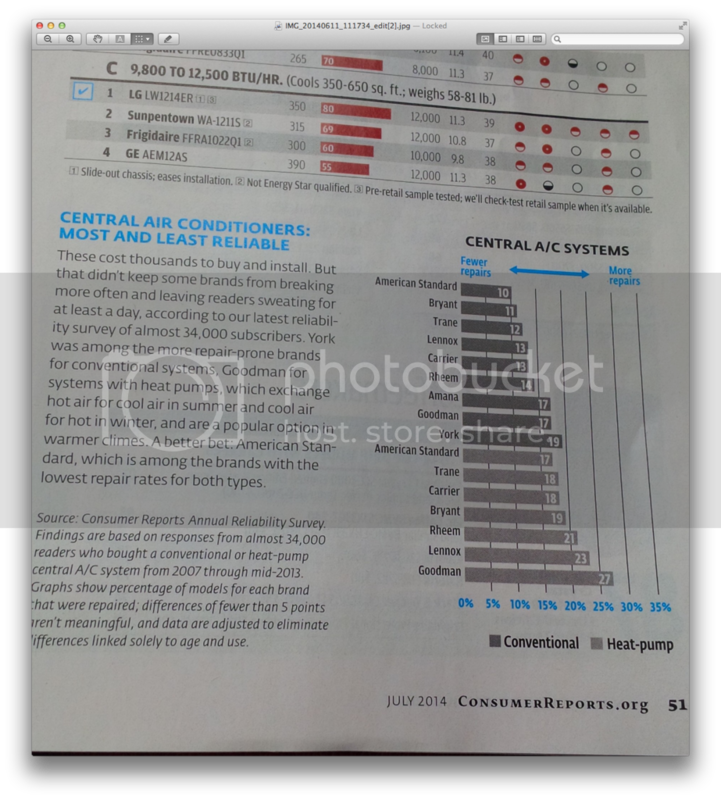 The American Standard line of air conditioning units were rated number 1 by Consumer Reports in July of 2014! Other product lines are also available as well. Last edited by rrknight on Sun Apr 17, 2016 12:40 pm, edited 6 times in total. I'm in! Already moved in. I am looking for AC for house with 4 bed rooms (~2300sqf). Do you mind give me price list for different brand AC? I'm still working with Craig to get us a great deal. I'll post once I get the details. Stay tune. I will start a list once I get everything firmed up with him. Four Season Comfort Heating and Cooling has been fortunate to provide the Milton Hawthorne village forum members HVAC sales and service for the last 10 years. We are pleased to announce the details of the annual AC Group Buy for the upcoming 2016 season. We would like to thanks our past clients for their business and look forward to providing the members with the #1 Rated American Standard/Trane line of AC units. Please see the important information below to determine which air conditioner best suits your needs; just give us a call or email with your questions. Last edited by rrknight on Sun Apr 03, 2016 8:26 am, edited 1 time in total. Will keep an eye on this thread. Seems like all AC prices went up this year due to the low CAD. Thanks everyone for being patients. please see about for the group buy pricing. Please pm me or reply to this thread if you want to be part of the group buy. I will update the list here. Last edited by rrknight on Mon Apr 25, 2016 9:32 am, edited 3 times in total. Base on your sqft, you should be getting the 2.5 ton. You can get away with 2 ton unless you have 9th ceiling in your house. It will be hard on your AC with 2 ton. So 2.5 ton is your best bet. No problem. I believe the Lennox require that you pay for an annual maintenance plan for your warranty to be valid. 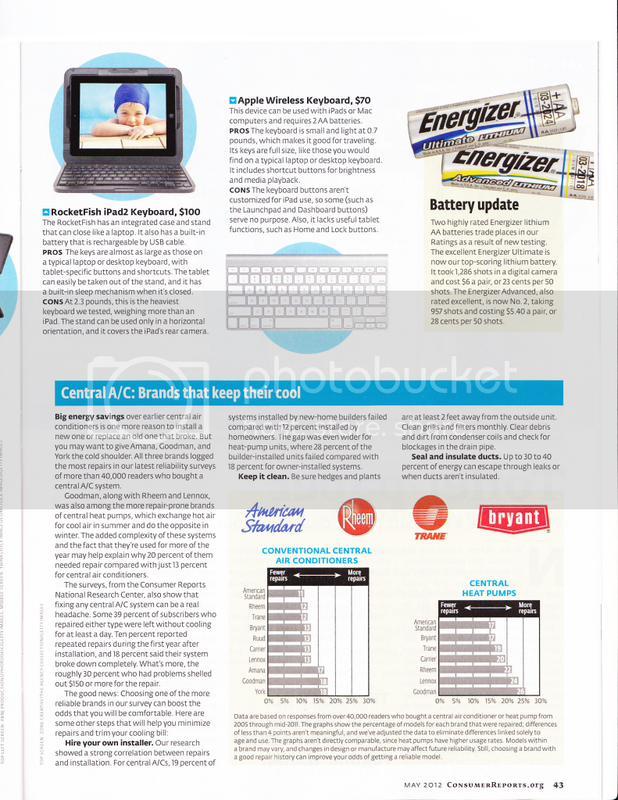 Here's a consumer report on American Standard and it's 1st against all other A/C manufacturers. I am interested but will let you know later as my house is delayed for now. I have dealt with four seasons /craig. Amazing service.. Sounds good but if you want to get in on the deal you must give Craig a deposit. The more people we get the higher the discount. So spread the word to your future neighbours. 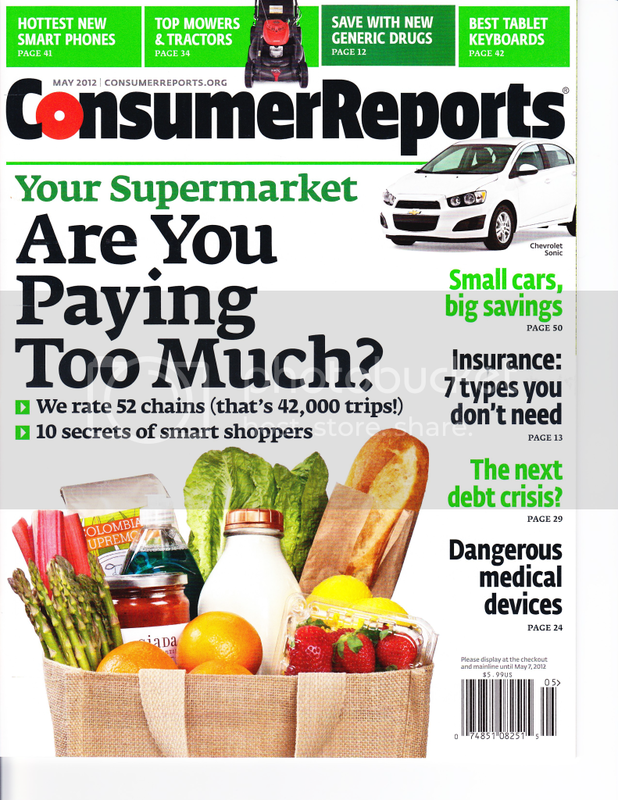 Here's a 2014 Consumer Report on A/C ratings. Great news guys! Craig said there's an additional $100 rebate on the American Standard 16 SEER A/C. The weather is starting to get warmer so don't miss out on this group buy. The more people we get the more discount we get. Does Craig contact everyone to come by and do an eval to figure out sizing?